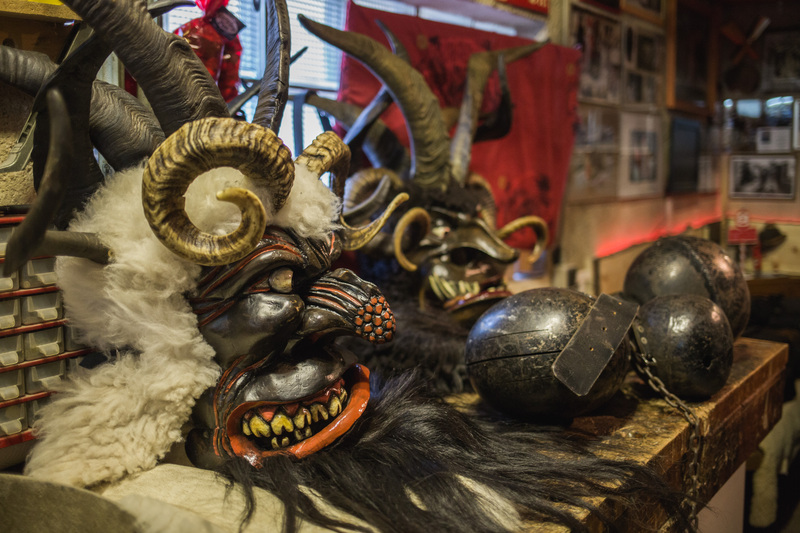 At the beginning of every Advent season, Saint Nicholas and Krampus are going from house to house. In the Gastein Valley, this custom is lived following an old-standing tradition. Roughly 100 groups called “Passen” are on the road on the evenings of the 5th and 6th of December. In SalzburgerLand, Advent is a magic and peaceful time. Especially during the days around Christmas and winter solstice, long-descended customs are firmly established. The young sculptor from Bad Hofgastein, Clemens Hünsch, carves the Krampusköpfe (Head of Krampus). In order to make the Christmas festivities perfect, delicious treats mustn’t be lacking. The herb farmer, Resi Schafflinger, took care of this during Alexandra Meissnitzer’s fourth journey across the SalzburgerLand. 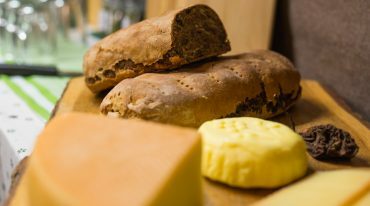 “Fruitcake with cheese?” asked Alexandra Meissnitzer in astonishment when she set off for the Gastein Valley. The proud native of Salzburg and former top-athlete originally comes from Abtenau in Tennengau, she hence knows fruitcake, but only with butter. 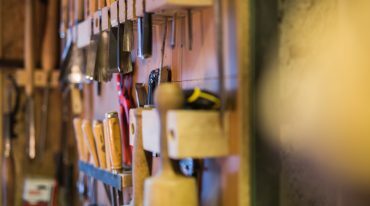 The sculptor Clemens Hübsch follows with his wood craft in the steps of significant Gasteiner wood carvers and sculptors such as Josef Lang and Sepp Viehauser. 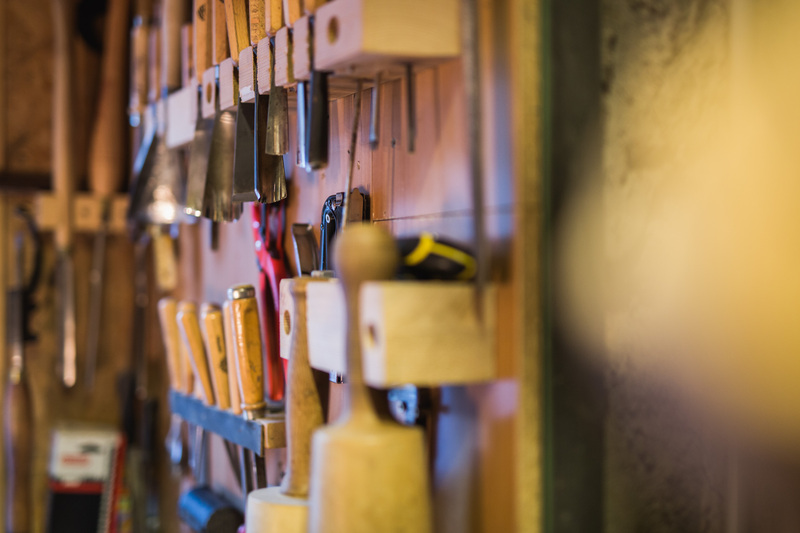 He welcomed Alexandra Meissnitzer on a freezing cold winter day in his rustic workshop in Bad Hofgastein: while the first snow covered the neighbouring peaks, it was comfortably warm. Inside the small cottage, the woodstove was roaring. The smell of pine and sheep skin was in the air, wood and sawdust danced against the light. 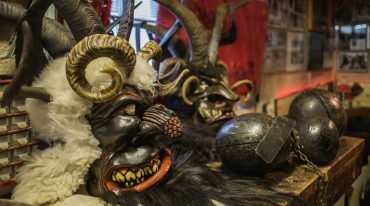 Clemens Hübsch professionally carves the “Gasteiner Krampusköpfe” following traditional proceedings and is looking forward to meet his famous visitor. He took all the time to introduce his work to Alexandra Meissnitzer. She even had the chance to lend a hand. 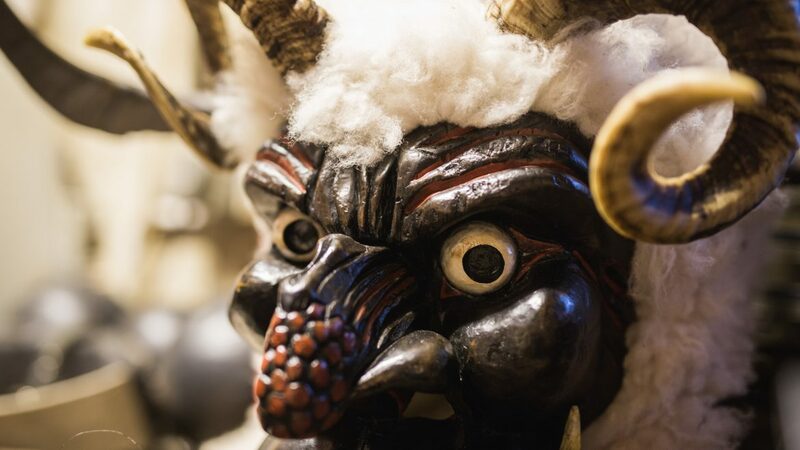 A traditional Krampuskopf from Gastein takes 10 working steps and approximately 60 hours of manual work. The individual elements all come from Gastein Valley: the arolla pine as well as the sheep skin, the ram and goat horns, as well as the horse’s mane. – Clemens Hübsch (34), sculptor, Krampus carver and himself Krampus with the Werkstatt-Pass from Bad Hofgastein. After a long day of work at Clemens Hübsch’s workshop, Alexandra Meissnitzer was looking forward to seeing Resi Schafflinger, who, like every year, had a booth at the Christmas Market in Bad Hofgastein. The herb farmer is also a TEM-practitioner. With her „Kräuterplatzl Hinterschneeberg“ at farm Streitberg, she fulfilled her lifelong dream. At 1,100 m above sea level, she laid out an impressive organic herb garden: with love and care, Resi Schafflinger processes her garden herbs but also edible wild herbs and produces natural cosmetics named „Kräuterplatzl Naturkosmetik“, tinctures, ointments and salves. Furthermore, she conjures delicious foods such as herbal salts, herbal powder for seasoning and tea. Resi Schafflinger prepared something very special for her guest, Alexandra Meissnitzer: elderberry punch and fruitcake. In the past, fruitcake was a dish for poor people. Today it’s a speciality that could pass as a cereal bar. 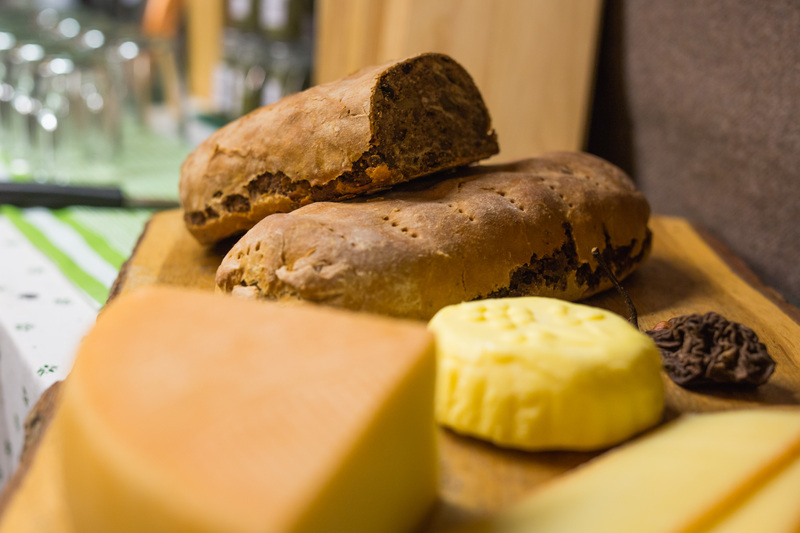 Typical for the Gastein Valley is the combination of fruitcake with alp cheese. – Resi Schafflinger organic herb farmer and TEM-practitioner from Gastein Valley. Experience, in this lies the word life. And living in the Gasteinertal valley is really good. For example, experience genuine, original customs and modern art. Or feel invigorating thermal water on your skin. Live out the enthusiasm for sports. And much more besides. The variety of the Gastein Valley leaves nothing to be desired.